MedShape Weight Loss Clinics offer Weight Loss Plans that are designed for Fast Weight Loss. We bring you the most affordable, safe and comprehensive weight control programs available today. Losing weight the MedShape way is the ONLY way to get your weight off. MedShape has spent years perfecting its medical weight loss programs and weight loss plans so all of our diets offer a safe weight loss. This is able to work with everyone’s lifestyle, needs and budgets. At Medshape, We Concentrate On Your Specific Needs As An Individual. 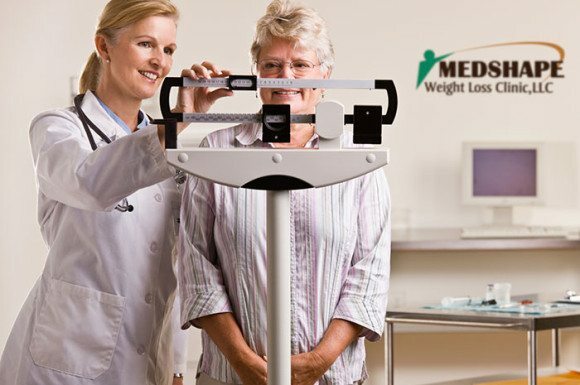 At MedShape, you will easily find that our Weight Loss Plans work because we concentrate on your specific needs. Therefore, your needs are unique to you only. Without addressing the underlying condition of why you gained weight, you will not lose it. We have figured out that these “areas of concern” are the most prominent when it comes to making a choice of a weight loss clinic or just plain and simple, choosing the right weight loss diet weight loss plan or program for yourself. It is an actual life changing decision when you reach the point and tell yourself “I want to lose weight”. When you say that to yourself, you are ready to lose weight. How Can I Do This With My Busy Lifestyle? There Are Many Weight Loss Programs Out There, What Makes MedShape Different? What Does The Initial Consultation at One of Your Weight Loss Clinics Include? Are Weight Loss Programs Expensive?, Can I Afford the Program? All of MedShape’s weight loss plans are based around your daily activities and events. We understand first hand that in today’s world, you need a weight loss plan that is customized to you and not one that requires you to make extreme changes to your lifestyle. One size does not fit all, as one program and weight loss plan simply will not work for everyone. Our medical weight loss team specializes in understanding your needs, your schedule and your lifestyle and will create a plan that is customized to you. Our nutritional Weight Loss plan is flexible and supports your busy lifestyle. a. Comprehensive Weight Loss Consultation – We want to know about YOU. How long have you been wanting to make a lifestyle change? How are your current eating habits? Where do you carry your weight? When did you start noticing weight gain? Among other areas that will help our professional medical staff build a picture of what you need to really start losing weight. We need to concentrate on you as a whole. Remember, Our Weight Loss Plans are designed around YOU! b. Thorough History of your Weight Gain – Believe it or not, there dare very few reasons why we gain weight. These reasons could fall under medical conditions that cause weight gain, such as Hypothyroidism, Hashimotos, Diabetes, Insulin Resistance, Post Pregnancy. A thorough medical questionnaire can paint a picture for our medical staff on areas that may be causing your weight gain, stalled metabolism and the feeling of impossibility to lose your weight. The great news is we are able to provide tests such as a full blood panel, hormone panels and many other medical diagnosis tools that can determine if your current conditions have contributed to your weight gain. This is important order for you to start a fast and healthy weight loss plan, as well as, creating a happier new you. c. Conversation of your current lifestyle – Addressing your current lifestyle and habits is very important to ensure we provide you the correct weight loss tools that are beneficial for you to see a rapid weight loss. We all have very different lifestyles. One reason we fail in weight loss is because of our lifestyles in general. We get some from work to late, we miss breakfast, we eat on the go, we simply don’t pay attention to ourselves. This is reality. We make everything around us a priority and we forget about us. When MedShape has a good understanding of your lifestyle, together we will work on changing the habits so you will have a fast weight loss occur. We will ensure that you receive what is necessary for your personal weight loss success. MedShape Weight Loss Clinic is the leading weight loss in Phoenix AZ. We concentrate in all the common areas of your personal NEED for weight loss. You are not on alone in your weight loss journey. MedShape keeps you surrounded with caring, friendly, understanding medical staff that will help you every step of the way. MedShape is happy to let everyone know that our Weight Loss Programs and Diet supplements are very affordable. We do not believe in overpricing our weight loss products. If you are looking to lose weight, we want it fit into your budget! Our Diets are are all built not to break your wallet but instead, get your weight off. How much do you spend per week eating out? Stopping for a quick snack at a fast food restaurant or corner convenient store? Clients that have used our program have reported they have actually SAVED money! Our reputation has been built on providing real ways to lose weight that is fast, effective, safe and affordable. We build a program with the flexibility to fit your budget. If you want to lose weight, you have the opportunity. At Medshape Weight Loss Clinic, we know that it is not just about what you lose. It’s about what you gain. You’ll learn strategies and tips for managing your weight for life. Knowledge is power! You won’t get a similar nutritional education elsewhere. We have helped thousands of people reinvent themselves. Let us help you too!